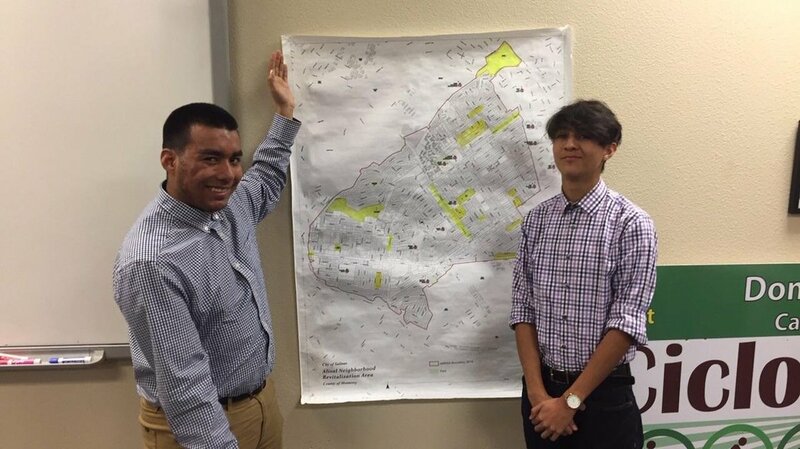 Juan Negrete and Leonel Velasquez demonstrate a map of a neighborhood with designated areas to focus on improving. Anyone that lives in, or has heard about, Salinas knows that it is a violent city. One of the reasons why it continues to be a violent place is because the majority of the people living in it do not take action to make their community a better place. However, a few youth from Salinas have begun an organization called CPTED. CPTED stands for Crime Prevention Through Environmental Design. The purpose of CPTED is self-explanatory in its name – to prevent crime through environmental design. Youth examine and determine areas in the city that can be potentially dangerous or unsafe and take action to fix that situation. There are 10 youth interns in the program who meet twice a week at the Building Healthy Communities Office in Salinas or at parks in the city. During their meetings, they discuss community input and outreach they can take part of. Some of their principles are ‘Eyes on the Street’, ‘Natural Access Control’, and ‘Territoriality’. ‘Eyes on the Street’ means increasing visibility and lighting on the streets. Just like any city, Salinas has many car accidents and quite a few people have been run over. Having quality lighting helps prevent these accidents by allowing both pedestrians and drivers to see better at night. “The safety of the people of Salinas is our #1 priority in CPTED. We do what we do for them,” says Jessica Gasca, an intern. The second principle, ‘Natural Access Control’, focuses on limiting access for crimes to occur. An example of a crime that can occur is someone being kidnapped, robbed, or attacked in a alley that cannot be easily seen. Access can be limited by having single entry points on buildings, maintaining landscapes, and using transparent materials on windows. It is also important for buildings to be built closely together, with not too much space in between them allowing these crimes to occur. Last but not least, ‘Territoriality’ promotes a sense of ownership. While CPTED Interns’ main goal is to provide a safe city, appearances can also be important. Decorative signage, landscaping, and maintenance are aspects that the interns consider to be valuable in the community. Having vibrant colors and visible signs help people identify what a place is from afar. Daisy Garcia, an intern, believes that creating unity within the people in the city is an important drive to get things done. “With everyone pitching in ideas, changes can definitely be made,” she says. In order for the interns to know which areas to focus on, they open up a survey to the people in the community with questions such as, “What makes you feel unsafe here?” and “How can we create a healthier and more vibrant Alisal corridor?” Once the responders have stated their thoughts and concerns, CPTED interns look into the situations and work together to come up with a solution. After creating a plan, they contact the city in a mannerly way stating the concern in order to fix the problem. “The city answers our calls professionally and usually takes action in about a week or two, the worst thing that could happen is that our message does not go through,” says Negrete. 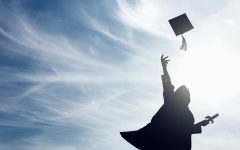 The one thing all the interns can agree on is that they are proud of what they do. There are not too many teenagers working towards making a positive change in the community this way. Feeling accomplished is what drives them to strive for more and to continue to input positivity in our city. CPTED Salinas is always looking for teens to get involved. They can be reached at the Building Healthy Communities Office at (831)717-1384 (ask for Andrea Manzo) or at [email protected].